Katherine Birbalsingh published the picture (above) on twitter and she couldn’t believe some of the responses: “London Zoo is a brilliant day out. Didn’t know you were allowed in the monkey cage now, booking my tickets online as we speak!” Is but one of the most blatant. Maybe this shows that despite the efforts of multiculturalism the “old white Anglo-Saxon education system” remains intact? A truly free school should educate children to be free. Scruton wrote here: “Education, we must remind ourselves, is not about social engineering, however laudable that goal might be. It is about passing knowledge from those who have it to those who need it.” Now, a Marxist would point out that the passing on of knowledge is social engineering, without critique it is about reinforcing as ‘common sense’ the narratives that reflect the power structures in a given society. Scruton mentions ‘whilst adapting to changes’ and it is this tension between stability and change, tradition and critique that is at the heart of a liberal arts education. Raymond Williams wrote that: “Every human society has its own shape, its own purposes, its own meanings. Every human society expresses these in institutions, in arts, and learning. The making of a society is the finding of common meanings and directions, and its growth is an active debate and amendment under the pressures of experience, contact, and discovery, writing themselves into the land.” Culture is fluid, its growth is an active debate, not an imposition of the old but a conversation with it and through this discussion we make and remake our sense in common. Tradition gives us the constraints that enable this conversation to flourish. The most extraordinary feature of the Western Education tradition is that of freedom of thought. The relation of trust between teacher and pupil is established because what we pass on to our pupils is not a closed narrative but one that we deliberately open up to dispute. In an education for freedom children are taught how to think freely and question the tradition. Community and its conflicts are negotiated within the tradition and authority of the institution. The classroom is a dialectical space in which pupils are invited to believe in and argue with knowledge, ideas, rituals and ways of thinking and doing. They are slowly initiated into a world in which they can have ‘freedom’ to the extent that any person can truly be free. Oakeshott wrote that: “A human art is never fixed and finished; it has to be used and it is continuously modified in use.” It is tradition that tempers the speed of change and allows us to judge its quality within the constraints of our tradition. Knowledge, beauty, aesthetics and the liberal arts are central to what an educated person needs in order to lead a flourishing life and they are fertile areas for discussion and debate. Schooling should not be sacrificed to the whim, whiles and wherefores of the market, cultural relativism and utilitarianism, for if this were to be allowed we would lose a sense of real value in education. Scruton says: “Hunting… dissolves the boundaries between species, dissolves the boundaries between people too.” In our global village we all live cheek by jowl, in border countries between differing cultures, views, ideals, and we need to learn to negotiate across them. 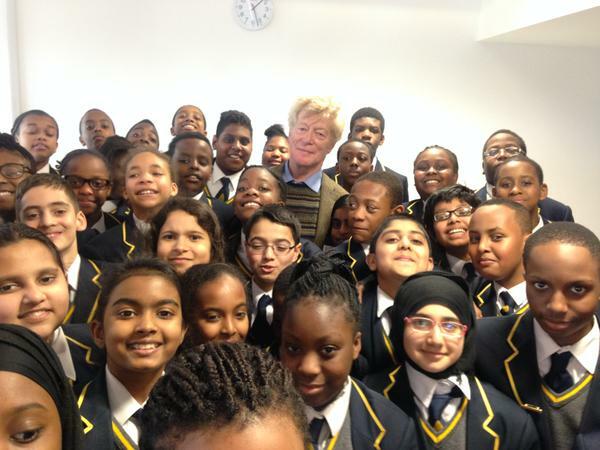 In Philosophy, Principles and Problems Scruton wrote: “People depend on others, and also need to be free from them. Freedom means conflict; community requires that conflict to be peacefully resolved. Hence negotiation, compromise and agreement form the basis of all human communities.” Schools have an important role to play in initiating young people into dealing with the responsibilities of freedom. All schools should be truly free schools, schooling for freedom. Reblogged this on Mrs E's Literacy Daydreams.